Today at Scribbles Designs Challenge Blog, it's the midway to the Shades of Green/ Easter Challenge. Since Easter, has already passed I decided to go with a shade of green. For my card today I am using Garbage Can, which I have printed on textured cardstock. 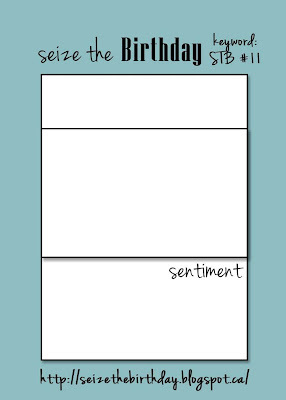 The sentiment I generated on my own using Word and colored with Copics. This is so fun! Love it! :) I do like the simplicity of it - it has so much impact! ohhhhhh love that CAS look!!! How fabulous and love the sentiment with it. Love how you have printed the bin onto textured card, it looks really effective. This is adorable! Thanks for joining us at Created With Love Challenges this week for April Fools Day challenges. LOVE this - cute & funny (love the sentiment! ), all with a great clean style! What an great card. I love it. Very CAS and love that sentiment! thanks for playing along with us at Created With Love Challenges. 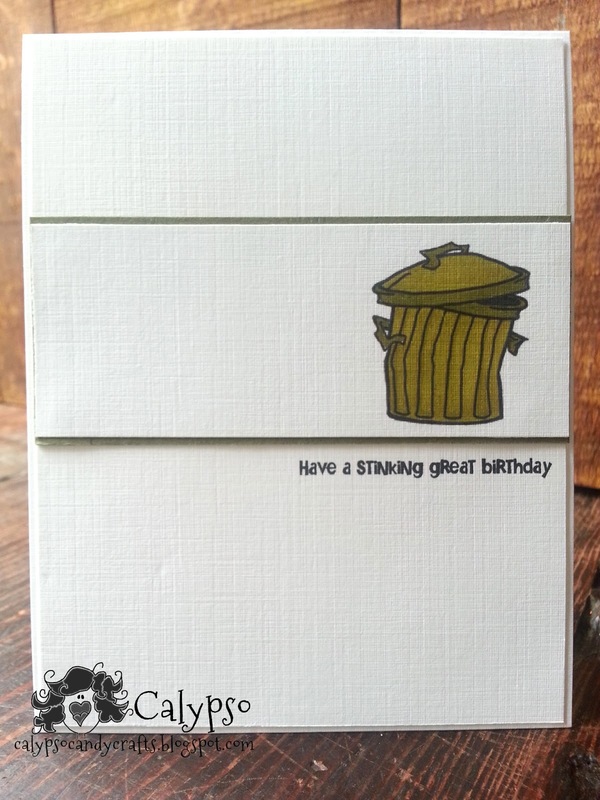 Fantastic CAS card, love the comment and the bin. Thank you for joining us at CCM this time. LOL, love it! so simple and so cute! Oh my gosh! Love this super fun card!! Thank you for playing along with us over on the 365 Cards blog! Cute card Calypso!! Love that trash can with the sentiment. What a great idea!! I have FREE candy at my blog and would love for you to drop by and register. I am your newest follower and would love for you to follow my blog also. Nazeema, This is stinking cute. I love love love it. Thanks for joining us at Tammys Scrapin Corner this week. I'd say it makes a "stinking" statement! Love it! So glad you joined us for our April Fool's challenge at Cards for Men! Funny! love the CAS of it! Thanks for joining us this week at Created With Love Challenges for our April Fools Day Challenge! !! That was funny. Thanks for joining the fun @ 365 cards. Such fun and charming card! Thanks for joining us over at the CCM challenges this time.